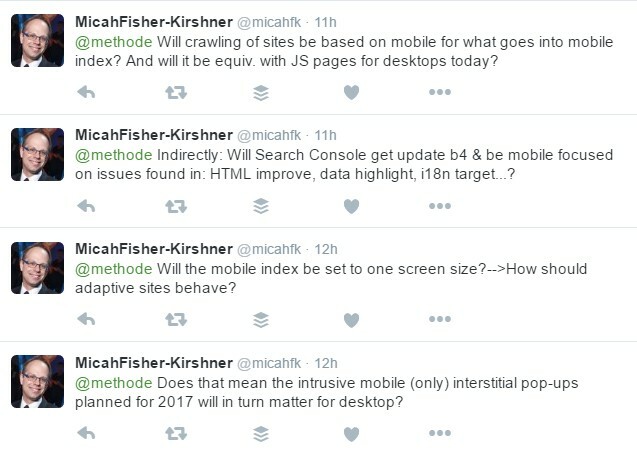 Will the Mobile Index Replace the Desktop Index? 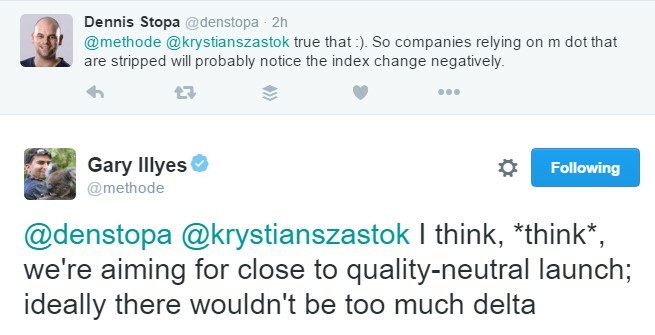 First, a point of clarification: The “index” is a single thing. 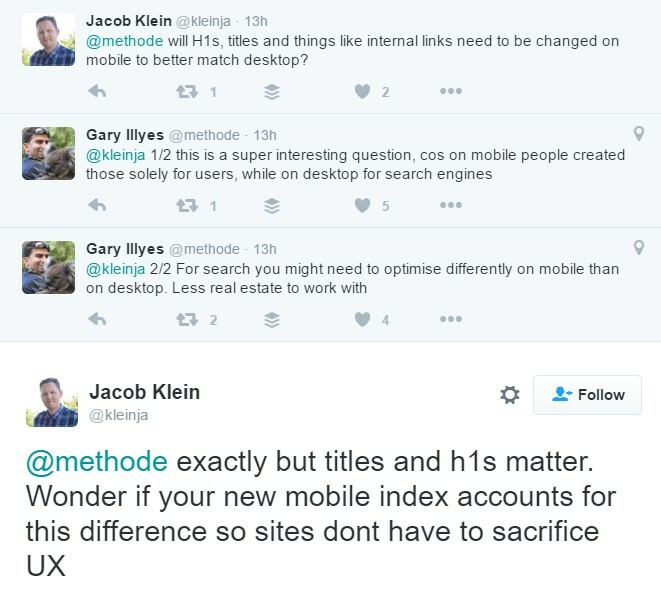 Google currently uses the desktop version of a site to rank queries on mobile. This is precisely the problem they are trying to fix; since users would sometimes click a query result for information that appeared on desktop and fail to find the same information on the stripped-down mobile version of the site. But there’s still only one index. Maintaining separate indexes is just too complicated, although that’s probably what should ideally be done. It’s also important to note that the biggest issues come into play for separate mobile sites on different domains, not responsive or dynamic serving, since these are on the same domain. So it’s useful to think about “signals”, which many SEOs would presume to include links, but in this case may not. Instead, let’s think about signals like expertise, authority and trust outside of links. In my opinion, a domain is still going to have these, and these will still be a factor in determining which page should rank better for a mobile site, even if these signals might primarily rest with the desktop site. What if You Have No Links to Your Mobile Site? What I take away from this is that Google still very much intends links that point to your domain to be calculated – even if the majority of links are to your desktop site, but that no one can say definitively what the algorithm change will actually launch with. 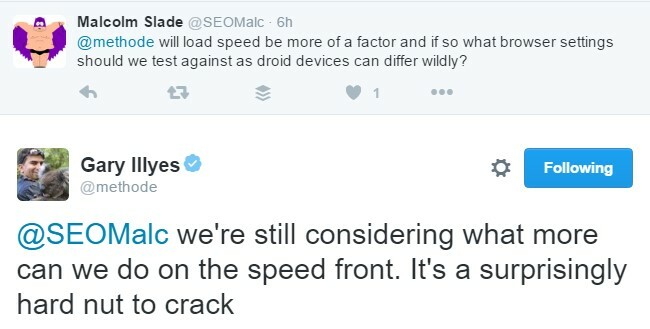 My two cents on this one is that you don’t need to worry about links between mobile/desktop for now; Google is aware of this issue and will likely correct for it. Will Content on My Desktop Site Not Count in Mobile-First Index? Definitely, if the content does not appear on your mobile site, it will not count in mobile ranking in the new paradigm. This is precisely what Google is trying to fix. However, the question is, will content on your desktop site that does not appear in mobile count in desktop searches? We’ve gotten a lot of conflicting information about this. In my opinion, this gives us a clear indication that just as content hidden in mobile that appears unhidden in desktop can rank mobile, so can content shown in desktop that is hidden in mobile. But Gary further clarified that he is not sure about this, just that he thinks Google will try for this. I think I speak for all when I say please do this, Google! Will I Have to Change My Rel=Canonicals and Rel=Alternates? 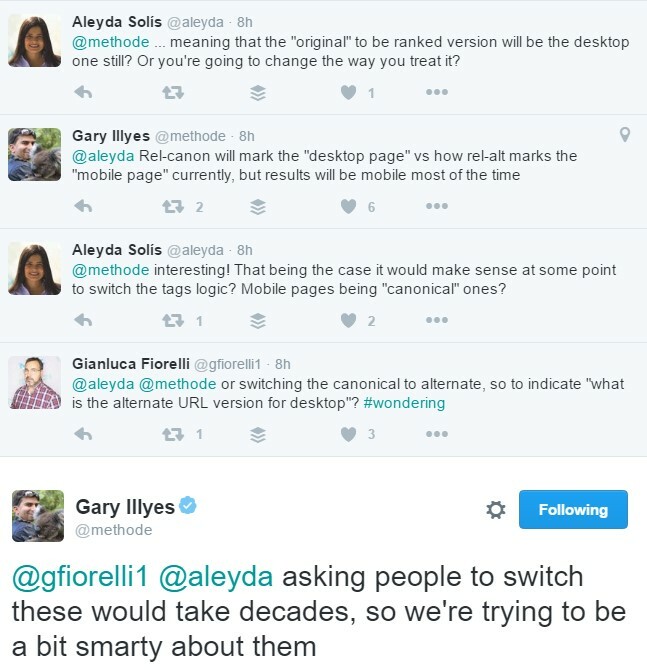 Aleyda Solis asks this excellent question on Twitter, and Gary responds that rel=canonical will start to function just as rel=alternate does now. So the net answer is you don’t have to switch these, but you have to switch how you think about them. And I also noticed that Gary used the word “most” in his first response – again an indication to me that this may not be as definitive as the blog post leads us to believe. There still remain a lot of unanswered questions, and I will update this post if/when we get answers to these, but the takeaway overall is that this is something Google will be testing over the next months (possibly at least 4?) and it’s going to take time to work out all the kinks. Will H1s, Titles and Such Need to be Re-Optimized? How Will We Test for Speed? Will Crawlers Like ScreamingFrog Still Work? Get your mobile site in order. Seriously, if you haven’t done this by now, you’re already behind. Present company included. Clean up your XML feeds; they may become very important for URL discovery in a mobile-first world with less internal linking. Get your structured data aligned between desktop and mobile – make sure you have it on mobile. The SEM Post article did a great job explaining this. Check webmaster tools, canonicals, AMP implementation, and HTTPS… you need to have these things all aligned. Seriously consider (again) going to AMP only rather than having a separate mobile site with some AMP pages. 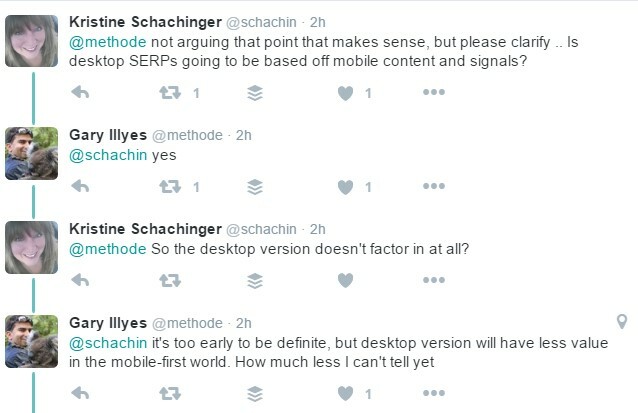 If you have mobile pages with AMP versions, AMP will not be the standard by which you’re ranked – the mobile page version will be. Relax. You have several months to work out all the kinks, and hopefully we’ll get a lot more detail from Google by then. But keep working on a mobile-first strategy. Other unanswered questions or insights? Comment below, or hit me up on twitter!